Different systems of astrology exist. Few have any basis in physics and astronomy. The astrologer can easily become addicted to chasing system after system. The passing of the centuries has seen a proliferation of astrological systems. At present there are many astrological systems in practice. It seems new ones being added all the time. Some are authentic new evolutions. One would be the “letter system” of Zipporah Dobyns. Another valid new astrology can be found in the work of Dane Rudhyar. Yet with all the new systems, astrology can get enormously complicated, far more than it need be. The Law of Simplicity: Keep it simple. When you are working with the planets, just stay with them. You don’t even have to use directions, like secondaries or tertiaries; transits will work as well or better, always. Keep it simple. Work with the planets, the houses, the aspects, if you have a verified birth time. Much that is out there complicates needlessly. Rectification confuses; imaginary planets give you false data, imaginary results, or results already decided upon before searching. Use what’s out there in the solar system. Keep it simple. Different Systems of Astrology: What About The Signs: The Argument for Tropical (astrologic) or Sidereal (astronomic) Astrology. Astrology has been divided into the two branches: tropical or traditional, and sidereal or astronomic. The strength of the tropical is found in its wonderfully developed millennia-long interpretations. The strength of sidereal astrology is that it is actually looking at what is really up in the sky. If one has read any Cyril Fagan or Garth Allen, one realizes that the strength of sidereal is only a pretended strength. Fagan has done brilliant work in the reform of astrology, but his explanation of the meaning of the constellations often approaches the nonsensical. The siderealists like Fagan still apply traditional meanings to the changed constellations. Traditional interpretations cannot take into account all the astronomical changes due to precession, proper motion of the stars, and other phenomena. Most astrological practice begins the 0° Aries point at the Vernal Equinox, one of the most important positions in the practice of astrology. A great circle is drawn through the ecliptic dividing it into twelve 30 degree segments. That is a proper procedure; the astrologer can formulate an interpretation of the ecliptic, of the zodiac, beginning at the Vernal Equinox point, and then moving around the 360 degree circle. When Ptolemy (90 AD – 168 AD) was alive, that 0° point began at the beginning of the constellation of Aries. Now it is found a few declination degrees south of the Omega star in the Throat of the Southern Fish of the constellation of Pisces. In some five or six centuries it will finally drop into the constellation of Aquarius. The position of the VE point in the sky, at differing periods of history, is extremely important. For example, in 3400 B.C., a period when history formally began, when the written word first began to be inscribed on clay tablets by the Sumerians, when math was first introduced, and when many other innovations were recorded, the bright star Aldebaran, The Eye of the Bull in the constellation of Taurus, was conjunct the VE point. 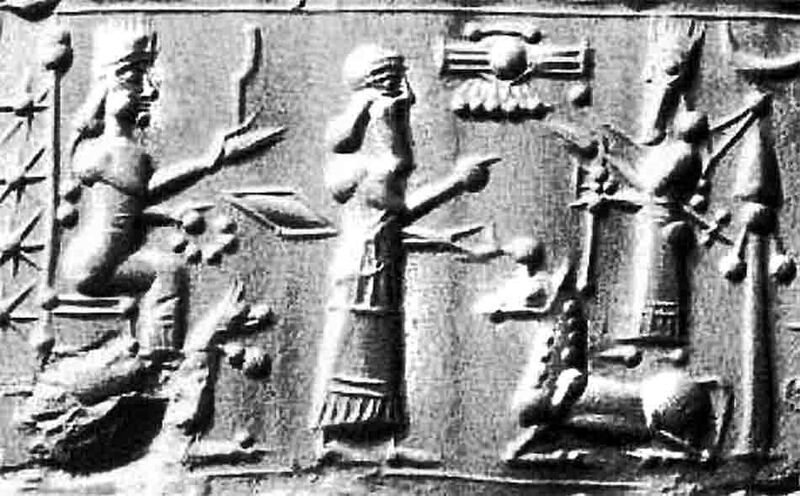 The Sumerian’s name for Aldebaran was The Messenger of Light, and as their “guiding star” it was considered one of the most important points in the sky for millennia. Modern astrology still calls these thirty degree segments, measured from the Vernal Equinox point, by their constellation names. This is a problem. The constellations are now different than the zodiacal signs. The whole thing has become very confusing. You might ask, “Why is it confusing?” One reason is that both the siderealists and the traditionalists are correct in their interpretations—they are both internally consistent. If I had to choose between the two, I think my choice would be with the traditionalists, the tropical, Ptolemaic astrologers. This astrology has the greater body of knowledge, the more profound levels of interpretation. Over the centuries, as the VE point moved further through the constellation of Pisces, the traditional astrology has, on the level of meaning, quietly readjusted itself. For example, the sign Aries, today begins at approximately the Omega star of the Pisces constellation and spreads only a few degrees into the Aries constellation. Aries is no longer Aries, or more precisely, Aries is no longer astronomical Aries. The VE point began moving into the Aries constellation in 1943 B.C., and traveled all the way through it till about the time of the birth of Jesus Christ. In the era of the astrologer, Claudius Ptolemy, Aries ruled the warrior. In the rush of battle, the Aries warrior was first to climb over the city wall. Both Alexander the Great and King David of Israel are actually known for this and other feats of personal bravery. When David defeated Goliath in battle, and cut his head off using the giant’s own sword, he carried that head around for many hours, a typical Aries type activity, also typical of an adolescent of that era. In today’s interpretations of Aries, however, one finds much of the Ptolemaic interpretations of Pisces now located in the zodiacal sign of Aries: the self-doubt, the questioning of identity, the insecurity. If you wish to read further on this line of thought, study Rudhyar’s book on the signs, The Pulse of Life. 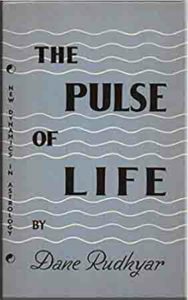 The Pulse of Life is one of the best twentieth-century philosophical descriptions of each of the twelve thirty-degree segments. Again, these thirty-degree divisions are called by the constellational names. This simply is not accurate. Western astrology is going to have to address this problem. All the difficulties this practice creates will not go away. Yet, despite the confusion their description causes, traditional astrology interprets these twelve thirty-degree segments quite accurately. One of the better systems I have found for overcoming this conundrum is to label those thirty degree segments by a different name. In the Zipporah Dobyns’ system, Aries would be Letter One, Scorpio would be Letter Eight, etc. That might be a good temporary solution until astrologers can get together and once-and-for-all change this confusing language. Under the tutelage of Pope Gregory, the ancient Julian calendar was readjusted and brought up to date. We should do the same. The basic issue here is in the alignment of astrologic data with astronomic reality. The two have to work together: That is the real dichotomy that needs healing. By ignoring the proper names for star positions, astrologers get hooked into the bad habit of ignoring all that modem astronomy has to offer. It is as if the practice of astrology forces them to live in the time of Ptolemy. The work of astrology should be to increase knowledge, not inhibit it. In this writing, in consideration for those who read it in the future decades or centuries, those two distinctions are: the astrologic, the astronomic. What about the signs? As long as the practitioner is consistent in each system, astrologic or astronomic, he or she will get valid results in the study of astro-history. Differing Systems of Astrology: What About the Houses? 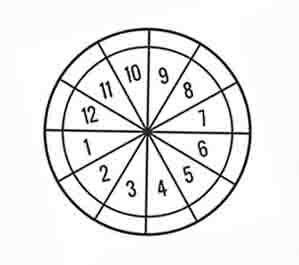 A house system is a division of the ecliptic circle by the number twelve. Most house systems work well in historical astrology. The Koch system, which is a variation of Placidus, will provide the astrologer with exact timing; Companus is supposed to give one a spiritual view of things; Porphyry will trisect the quadrant equally, if an easier method is not available; the Equal House system is popular in Europe and many places in America. The argument about which house system works the best is, in my opinion, specious; they all seem to work fairly well. If you don’t have a legitimate birth time, one that has been researched, derived from an eyewitness, either secondary or primary, then your house cusps will be fallacious. If you rectify a chart, the same fallacious conditions will apply. If a planet is within five degree of the cusp of a house, in an authentically researched chart, it will influence the cusp or angle of that house. If a planet is within ten degrees above the ascendant, or ten degrees oriental to the midheaven, or ten degrees below the descendant, or ten degrees occidental to the IC, it will exert an extremely powerful force in that chart. This sector is known as the Gauquelin Zone of Power, and all due respect should be given to the Gauquelins who made this totally new contribution to the field of astrology (Michel Gauquelin, Cosmic Influences on Human Behavior, 1973). If you look up into the sky on a dark clear night, you can see about six thousand stars. 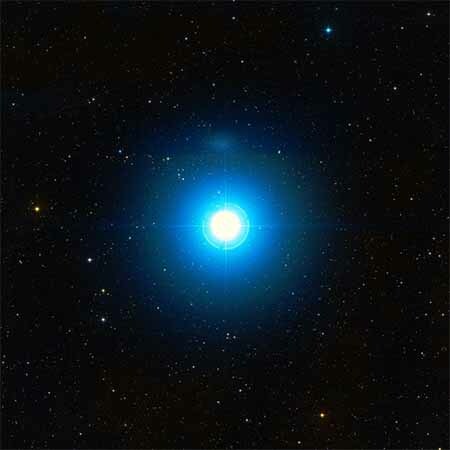 The brightest is Sirius, which is a -1 magnitude (visual) blue giant eight light years distant from our solar system. It is visible as the bright star located a little to the lower left of the constellation Orion. The bright stars are the essence of our constellations, and as such have a rather important bearing on astrological influence. Those twenty or so stars that are brightest in the sky will always exert some kind of influence. Stars found in the ecliptic also exert an influence. In much astrological practice, however, the bright stars are not used. Their application is almost never discussed in historical astrology. A good reason exists for this neglect: I personally have seen few interpretations of the bright stars that were not judgmental, that made you feel that your life was filled with doom, that it was impossible to escape your dreadful fate. That is not what astrology is supposed to do. For an example of a non-judgmental interpretation of bright stars, go to this section on Wellington. In Vivian Robsons’s Fixed Stars almost half the meanings of the bright stars suggest that the reader will experience some form of blindness or mutilation (yet the science sections in this volume are magnificent). It seems that when we discuss the “fixed stars”, every old judgmenta­lism that the interpreter can find is tacked on to their meaning. If you don’t believe me, read the definitions of Algol, a Cepheid variable star, which is called The Ghoul or the demon star. A variable star means that there are times that it varies in visual magnitude or brightness. In antiquity, these variations were noted by astronomer/astrologers, and then, conclusions of malevolent influence were drawn. For now, that’s all. A quiet, deep fear is connected with the bright stars. Modern astrology has avoided any real study of them, I believe, because it is a domain so phobia-encrusted. Some of the credit for this avoidance belongs to Claudius Ptolemy. In the Tetrabiblios, he works with the bright stars, but only to bring the student’s attention back to the luminaries and the planets. For example, in talking about Regulus, the bright star in the heart of the Lion constellation (astrologic position now at 0° Virgo), he states that its influence works like another Jupiter or Mars. In his book, every star is related back to the influence of one of the planets. That practice has been carried down to modern times (again, see Robson’s Fixed Stars). Yet those stars, especially those close to our solar system, those in the ecliptic, and the twenty brightest, do exert an influence; and when the projections and judgments are removed, their influence is quite interesting. 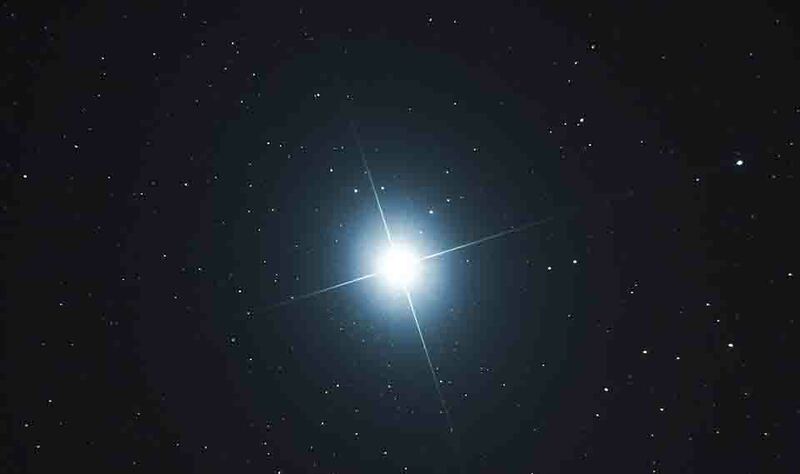 In the example of the bright star Regulus: If this star is connected to a luminary or to an angle or is in one of the Gauquelin zones, it will bestow renown upon that person. The early Greek astrologers deeply studied the bright stars. Hipparchus, working in his observatory at Rhodes, first cataloged the stars using celestial co-ordinates (of longitude and latitude) and magnitude (to measure brightness). Hipparchus’ star charts were used by Edmund Halley, an associate of Isaac Newton. Halley determined that the stars were not “fixed” in the sky, but had been moving since Hipparchus had noted their coordinates in antiquity (Peter Brown, Halley and His Comet, 1985, p.24). The bright stars were also used by Sumerian astrologers. When a bright star arose in the evening, helically, or after sunset, it often symbolized the beginning of something new. All Babylonian, all Assyrian, and much Egyptian astrology was derived from that of Sumer. Ptolemy took the ancient Sumerian teachings, weeded out the rubbish, accumulated in the Babylonian era, and placed the best of the teachings into the new Hellenist astrology/astronomy. I will be occasionally utilizing the bright stars in this astrology of history. The Law of Bright Stars : If a bright star be found on the ecliptic, or if it is one of the twenty bright stars in the sky, or if it is a bright star close to our solar system, and if it is in conjunction to a planet or luminary, then it exerts influence. The orb of influence for a bright star is one degree for a planet and two degrees for a luminary.